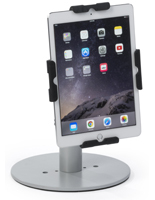 What business or organization wouldn’t benefit from using locking iPad mounts? 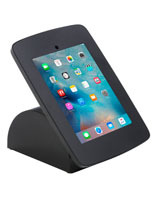 Even people using Apple® tablets for home, school or personal use concur, it’s better to be safe than sorry when it comes to protecting your technology investment. 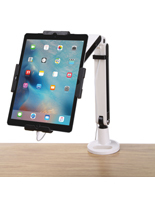 It's bad enough to lose one of these versatile devices, but think how you would feel if suddenly a register checkout counter full of iPad mounts disappeared from your place of business? 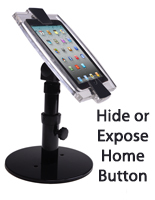 As organizations increase their use of these multipurpose handheld computing devices and their accessories, the risk of loss from theft or tampering also increases. 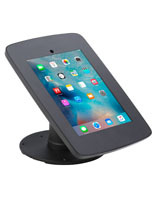 A wide array of iPad mounts is available at this website featuring locking and secure styles to complement any business environment. 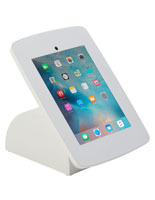 Tablets are a small fortune, as you know, so why not protect them with top quality cases and covers with locks to protect them from damage while ensuring they are never stolen? 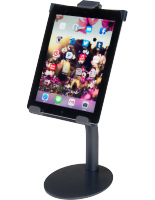 No matter where equipment is used, these locking iPad mounts, also known as an anti-theft tablet racks, provide additional peace of mind. 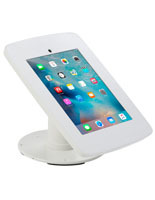 The devices remain accessible yet secure, whether placed at a register checkout counter, or in a large hotel lobby or conventional hall. 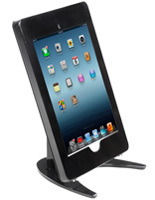 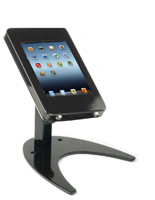 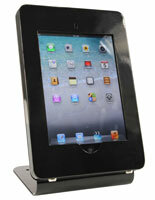 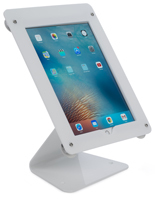 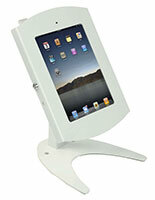 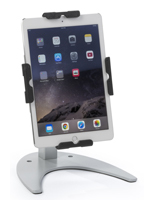 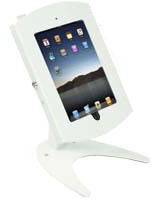 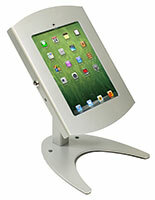 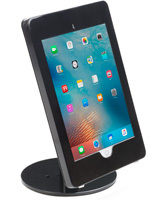 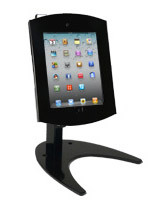 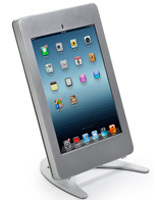 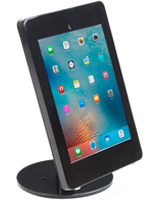 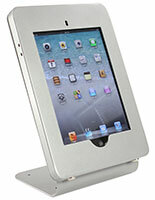 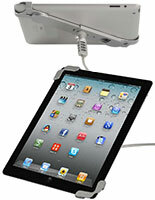 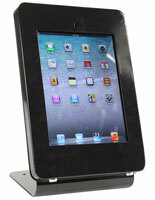 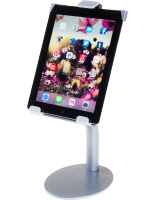 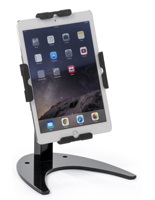 Why not protect your expensive investment with these quality iPad mounts. 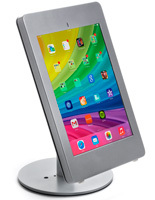 What are some of the other security features within these locking tablet stands, covers, and cases? 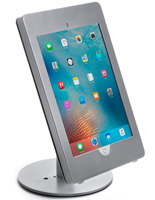 Fixed Presentation Hardware: For some iPad mounts, not only do these tablet devices secured with a Kensington lock into the fixture, but the display stands themselves are screwed or bolted down for an added layer of device security. 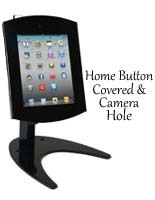 Security Screws: Locking frames and brackets often use security screws instead of thumbscrews or "normal" screws for added protection. 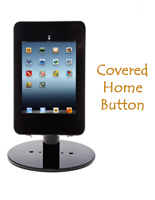 Security or “security head” screws are special mounting screws where, once installed, the head is impossible to reverse without special tools or mechanisms. 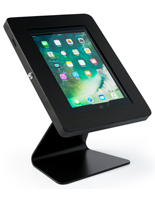 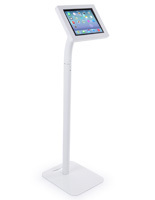 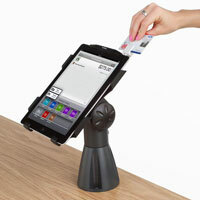 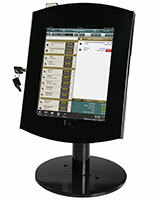 Limited Accessibility: In some displays, particularly those with cases or full tablet enclosures/covers, touch screen access can be customized for POS devices. 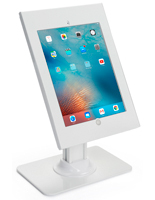 This is particularly useful in terms of advertising presentations or software/application demos, where customers need to access different areas of the screen but are not allowed full access to all data stored. 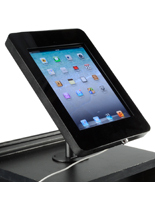 An Array of Tray Styles: A myriad of mounts with strong locking mechanisms can be found here for protecting the touchscreen device itself. 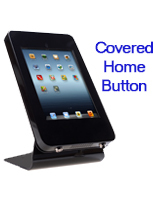 Locking frames, cases, and covers have a tray-style base wherein the tablet is fixed using security screws. 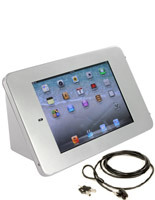 Some of these enclosures have swing-open covers where tablets are loaded, then closed securely. 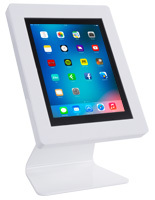 Locking Brackets: Sometimes called secure POS mounts or lockable assemblies, this style of secure bracket will have grippers that hold the tablets on at least two sides (depending on model configuration), and a locking mechanism to fix the arms in position once the device is in place. 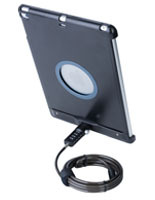 Cable Locks: Portable Kensington locks use a rubber-coated heavy duty wire cable and a Kensington locking slot built into the devices to secure electronic devices to a fixed object by looping the cable around it. 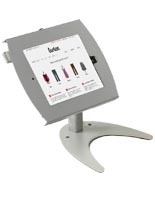 Cable locks for POS technology are useful at trade shows, lobbies, and other public locations where a fixed-display version would be inconvenient to install, but security is necessary. 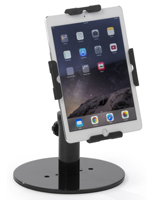 Cable locking systems are also used for car mounts. 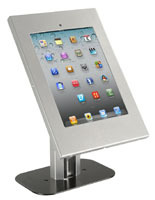 Whether placed on a retail register counter, hotel lobby or trade show floor, these lockable technology enclosures and display systems enable the user to engage customers in their merchandise, services, and brand in a way they will find freeing, while also and alongside of that endeavor, protecting valuable hardware and data.